Finest blue thread locker you can buy! 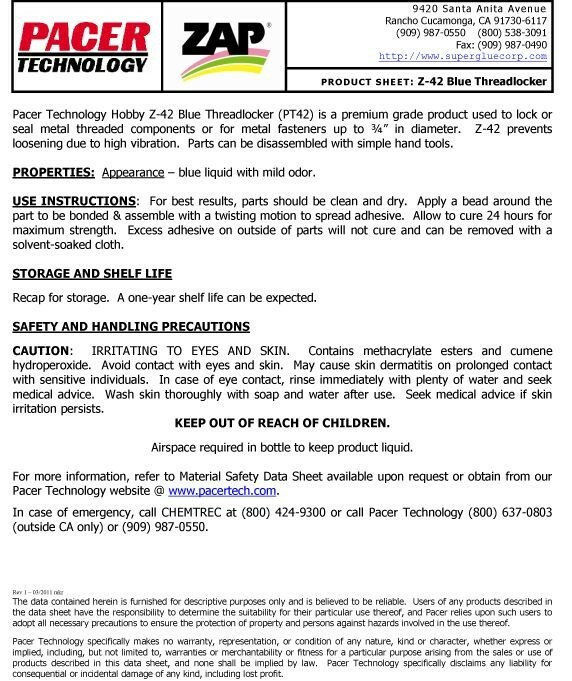 Z-42 Thread Locker is for use on cars, boats, snow mobiles, lawn equipment, tools, bicycles, and even toys. 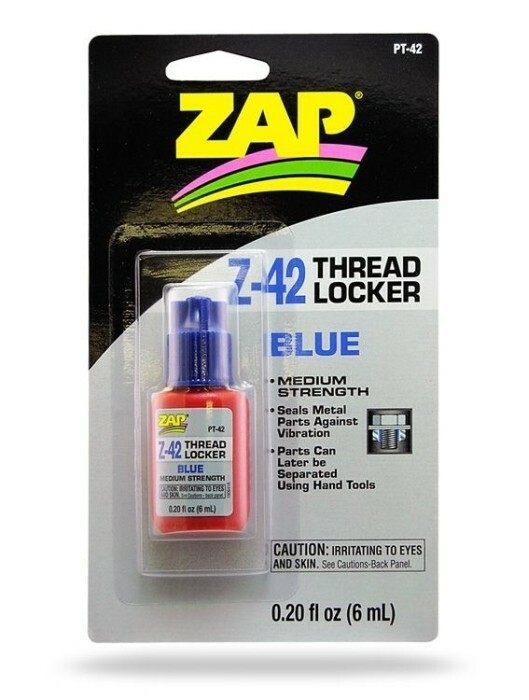 Anywhere fasteners are subjected to vibration that can cause them to loosen and fall out Z-42 Thread Locker helps to keep things together.